It’s been a busy few months since we launched the new system to claim the coveted milestone t-shirts. We have now caught up with a vast majority of the backlog, providing a link on the ‘club progress’ page of more than 43,000 parkrunner profiles for everyone eligible for a Tribesports milestone t-shirt (as of the start of this month). We do know that we are out of stock of a few sizes of some milestone t-shirts. This is always the most difficult thing to predict: we can see with a degree of certainty those getting close to qualifying for a milestone, but we cannot predict the sizes required. We are however using insight gained from the first four months of this process (and ongoing) to better predict sizes required for future orders. What we can all be incredibly proud of is that more than 15,000 parkrunners have received their free milestone t-shirt in the last four months! And the feedback we have received has been terrific. We want to publicly thank our wonderful partner Tribesports whose commitment to date totals a retail value of more than £540,000. You can support our partnership with Tribesports by checking out their other running kit available on their website. 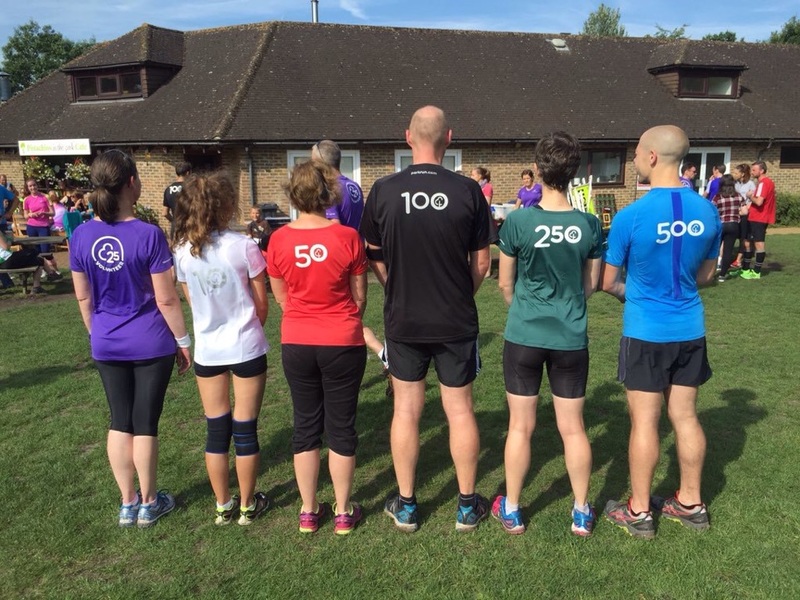 We’ve loved seeing more and more of the new t-shirts at parkrun events all over the world - with Frimley Lodge parkrun in England capturing the rare image above of the complete set: including the (currently) one-and-only 500 t-shirt! To share your joy, excitement and inspiration with others, head over to our #parkrunTribe Facebook page here. We’re pleased to be able to announce that our next shipment of milestone t-shirts arrived in port this week. This batch is made up of red 50 and white Junior 10 t-shirts only and so whilst it will enable many more parkrunners to be able to order their t-shirts within those milestone clubs, we have to wait a little longer to replenish stock of the other milestone clubs. We are aware that the purple volunteer 25 t-shirt has proved to be particularly popular. As an entirely new club, the rate at which parkrunners qualify for this t-shirt has been especially difficult to predict. Right now more than 10,000 volunteers help to make parkrun a reality at over 700 events worldwide every week. This is, unquestionably, an incredible achievement but also a challenge when it comes to calculating stock levels six months ahead of time. Of course we understand the pride felt upon achieving the wonderful parkrun milestones and we’re working hard to provide t-shirts as quickly as we can. For information on how to claim your milestone t-shirt, head over to our FAQs here.